Vacation rental condominium. Sleeps 7, 1 bedroom, 1 bathroom. No pets allowed. What a view! Looking out at the Center Village and the ski mountain. 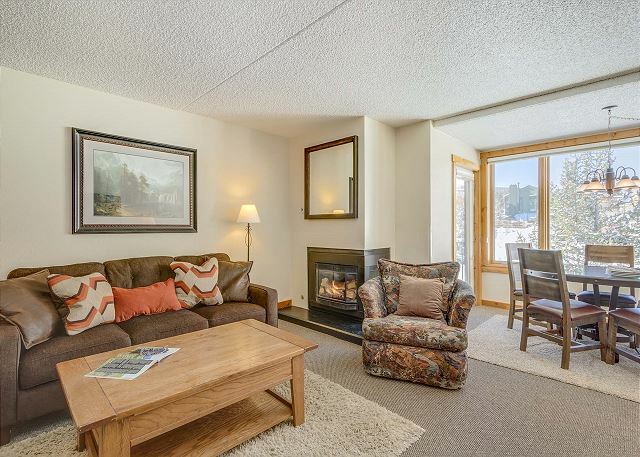 After a great day of skiing, relax by the fireplace & watch a movie. The sofa folds out into a queen bed. This condo sleeps up to 7 people. Save big! And don't forget that the sofa-bed has a memory foam mattress - comfy! 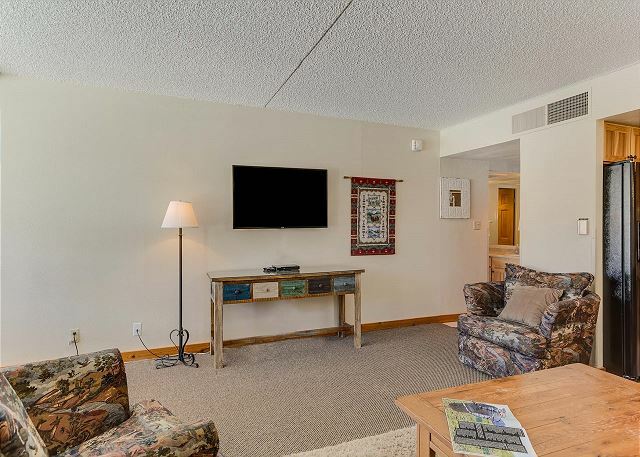 The spacious living room includes a large flatscreen TV with Blu Ray player. Prepare your meals in the updated kitchen with brand new appliances (2015). We provide LOTS of kitchen utensils, bakeware, cookware and dishes. 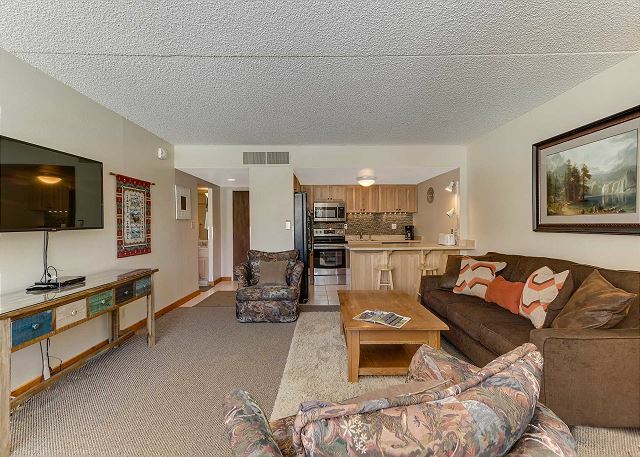 You'll enjoy lots of room in this open layout kitchen/living/dining area. 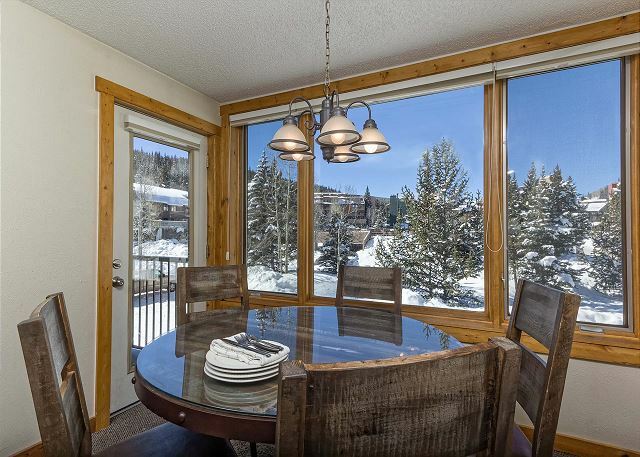 Gather in the spacious, open living and dining area, and enjoy the view. Five can sit at the dining table and 2 more can belly up to the bar. There's plenty of space for your clothes and gear in the dressers and closet. Five can sleep in the bedroom with 2 queen beds and a twin sofa-sleeper. With double sinks in the bathroom, getting ready for skiing is a breeze! Soak in the tub or take a quick shower. The tub shower and toilet are separate. No lugging your skis up to the condo. Store them in your assigned ski locker. 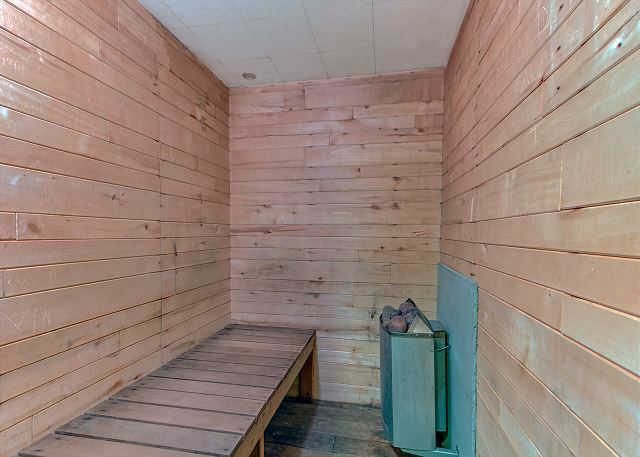 Relax in the dry sauna after a great day on the mountain. 3rd and 5th floors. 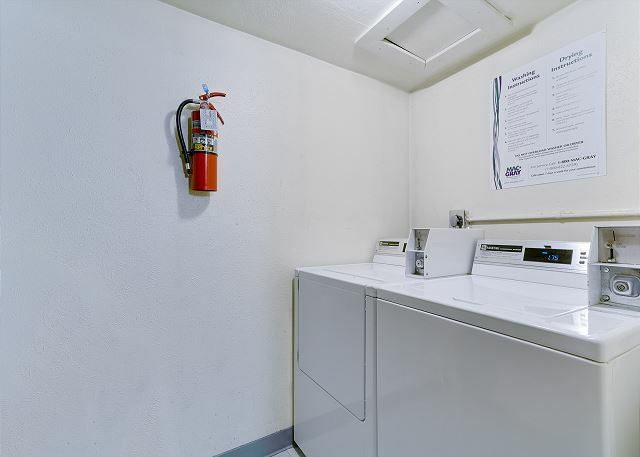 Coin-operated laundry on the 2nd and 4th floors. Grill your favorite meal and relax on the patio. Your parking spot is assigned and under the building, carport style. This condo faces west and gets great afternoon and evening sun. 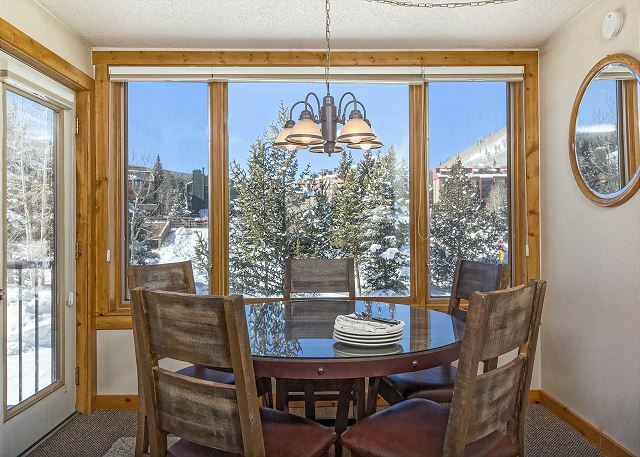 You'll love watching Copper Mountain come to life in the morning from the sunny dining nook of this large one-bedroom Summit House condo, set back away from the rumbling groomers and snowguns, but still just a two-minute walk to the lifts and Burning Stones Plaza. 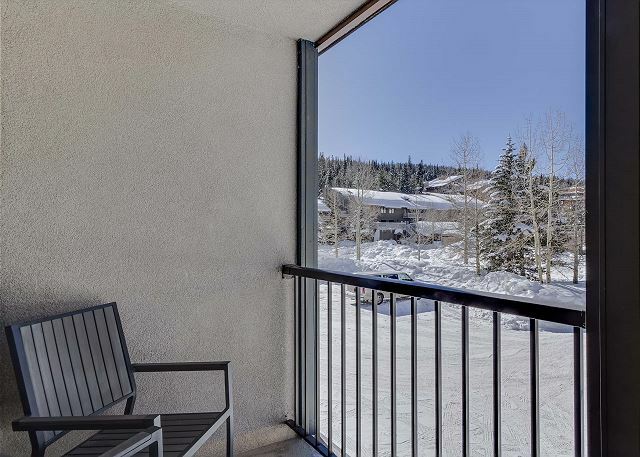 Guests have raved about this slopeside condo after an affordable trip because they were able to sleep 7 in one of the bigger one-bedroom units at Copper. Once you've parked in an assigned, covered spot (extra spots in open lots), you can lock your gear in secured lockers on the ground floor, then zip up the elevator to the second floor. Most guests like to hook up the free wifi right away, and a cup of hot cocoa from the well-stocked kitchen will hit the spot. 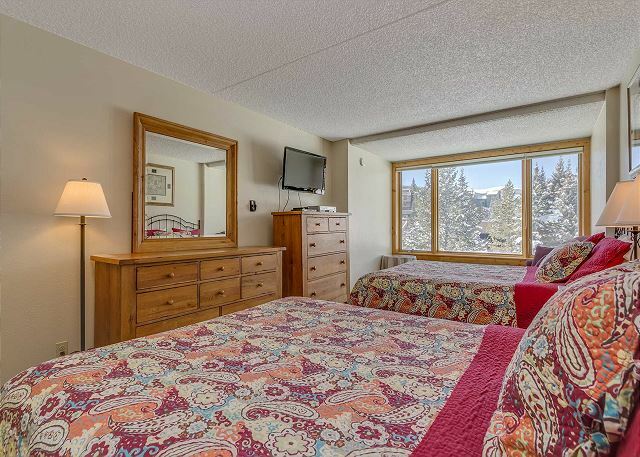 There are two comfy queen beds in the master bedroom, along with a fold-out single bed next to the window.You can stash your bulky ski clothes in the large closet and catch the forecast on The Weather Channel on the new flatscreen TV. In the living room, two more people can sleep on the new sofa-sleeper with a memory foam mattress. A gas fireplace keeps the living room toasty while you watch the game or a movie on the flatscreen TV. 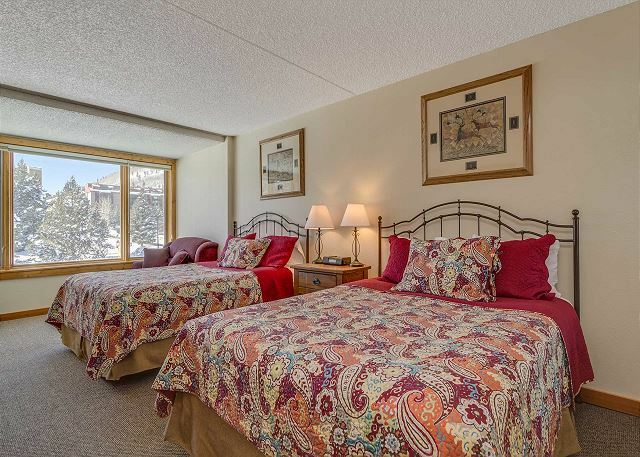 The condo is 780 square-feet, about 200 more than most other one-bedrooms at the resort. It's easy to stock up and cook for the whole trip with a kitchen featuring a large fridge and pots, pans and utensils for cooking, whether it's down-home or mountain gourmet. When you sit down for dinner, you'll look west just as the sun sets over Vail Pass in a splash of color. New fixtures accent the the double-vanity, full bathroom, and we'll make sure you're well-stocked with towels and toiletries for your whole stay. Free transportation is nearby, with a couple of options for getting around the resort, and you can also ride the free Summit Stage to Breckenridge, Frisco and Keystone — even A-Basin if you're feeling feisty. 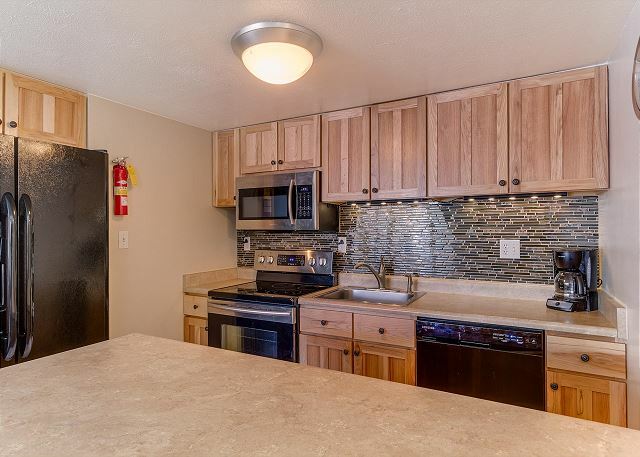 Good convenient location, condo was large compared to others at a higher price. Clean, and well stocked with all necessities. We had an amazing time for Sunsation weekend at Summit House 206. 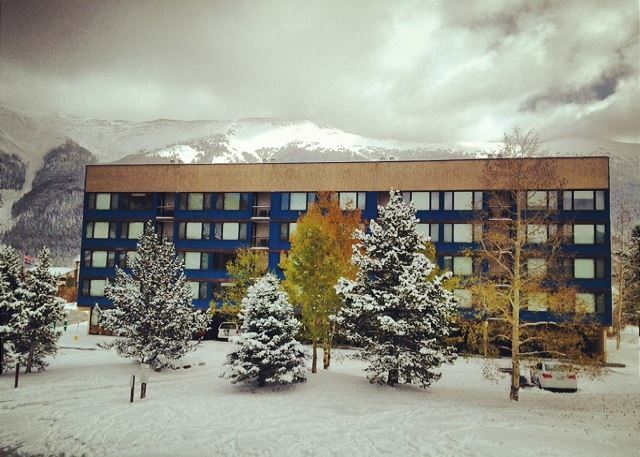 We've stayed at several condos at Copper and this has been one of the best. The condo was well stocked, clean and cozy. Within walking distance to the lifts, we enjoyed lunch at the condo each day. Great place for a family getaway! We had a nice stay at this large condo. The main area was much larger than I imagined with a nice view. The walk to the lifts was 5 minutes and provided a nice escape from the crowd for lunch. Affordable, close to lifts, met all the needs of a family of five. There's was four of us dad's that stayed in the Summit condo 206. 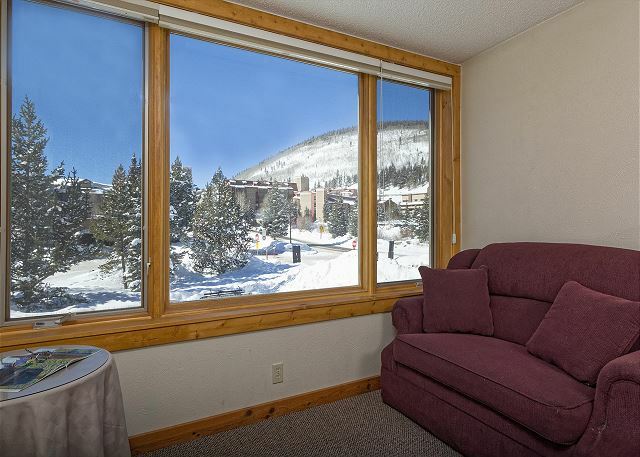 The condo was located within walking distance to the ski lifts and restruants. This place had every thing we needed for cooking breakfast, lunch, and dinner. There was a couch and love seat that made out into beds and two queen size beds. All four of us had our own place to sleep. 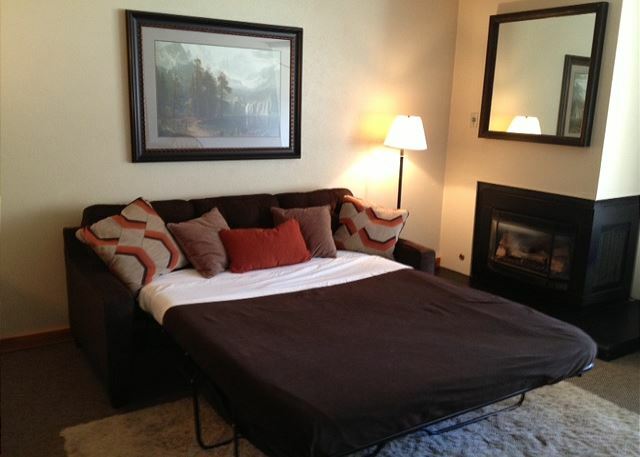 The Summit 206 is well furnished and we hope to rent it again next year.